Glass has been the traditional glazing material for greenhouses since Victorian times. Many people ask whether, in this modern age, safety glass is best for greenhouses? We still think safety glass is best for greenhouses, and there are a number of reasons. First of all the optical clarity of glass is superior to plastics and it is far more resistant to scratching – making it much easier to clean. After just a few years plastic sheets will look dirty and scored, reducing light transmission drastically, which is why very few buildings are glazed in plastic. The RHS website states that “The best glazing material is glass, as it lets 90 percent of light through, does not degrade in sunlight and, unlike plastic materials, reflects heat radiated from within the glasshouse back into the structure instead of being lost”. The last point concerning radiated heat within the glasshouse is an important one, as during the early Spring the more heat and light the plants enjoy, the further ahead they will be. Warmth is as important as the light levels, as photosynthisis is affected by temperature. Glass, unlike plastic, traps the heat within the structure – hence the use of the term ‘greenhouse effect’ for global warming. Once the weather becomes warmer, the unique Access ventilation system will ensure that the greenhouse does not become too hot in Summer. As glass is very rigid, it will not deform under high wind or snow loads. Even in strong northern gales, the glass sheets will stay in place, while plastic sheets will bend and blow out. With snow, our Cold Frames and Mini greenhouses are designed to withstand 2’ – 3’ of snow on them without any problems. In contrast a plastic sheet will bow and fall into the frame, crushing everything inside with the weight of snow. Another reason we think safety glass is best for greenhouses is its weight. Although the aluminium framework itself is very light, making it easy to move the Cold Frames around the garden, once the glass has been replaced in the frame the weight of the glass will keep the frame on the ground even during winter storms. Traditionally the glass used in greenhouses was horticultural glass, which breaks into large, sharp pieces. 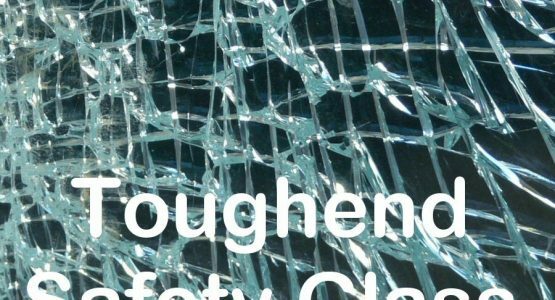 All of our greenhouses use toughened safety glass. This is many times stronger than horticultural glass; and if it does break, it shatters into thousands of relatively harmless tiny pieces – just like a car window. If you have a glass topped coffee table in your house, or patio doors, these will be supplied with toughened safety glass. On our Value Growhouses and Cold Frames we use 2’ x 2’ panels of glass that are of the same thickness as the traditional horticultural glass – 3mm. The toughening process makes them about 5 times stronger than horticultural glass. For our Classic range we use 4mm thick glass – the same thickness as used in house window panes. This glass is around 10 times stronger than the horticultural glass.